This is a photograph which appears to have been taken in the 1950s or 1960s. 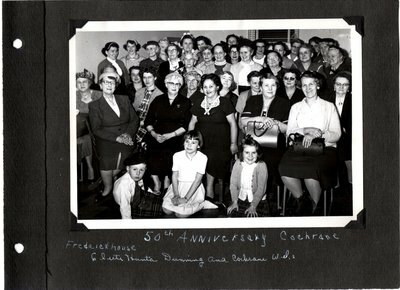 It is a black and white group photograph of several members of Cochrane District WI branches, including Frederickhouse, Clute, Hunta, Dunning, and Cochrane. There are approximately 35 ladies pictured and three children seated in front of the group of ladies. One member has been identified: Reta Ash is seated in the second row wearing a black dress and glasses, positioned behind the young girl in the white dress. 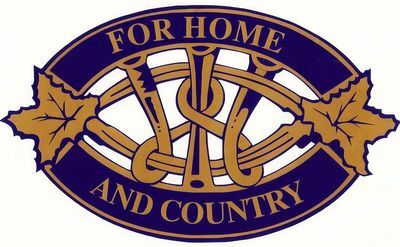 Clute Hunta Dunning and Cochrane WI"